In the past week I’ve had turkey dinner multiple times, turkey sandwiches galore, and even turkey soup. If I see another piece of turkey I don’t know what I’m going to do. So I went scavenging thought the kitchen today in search of something, anything, that doesn’t even remotely resemble Thanksgiving leftovers. Bacon came to mind, of course, so I set out to make an amazing BLT only to discover that all the bread was used to make the million turkey sandwiches we’ve all eaten. I was not about to give up on my quest so I searched the freezer. No bread there either, but I did find some Eggo waffles. 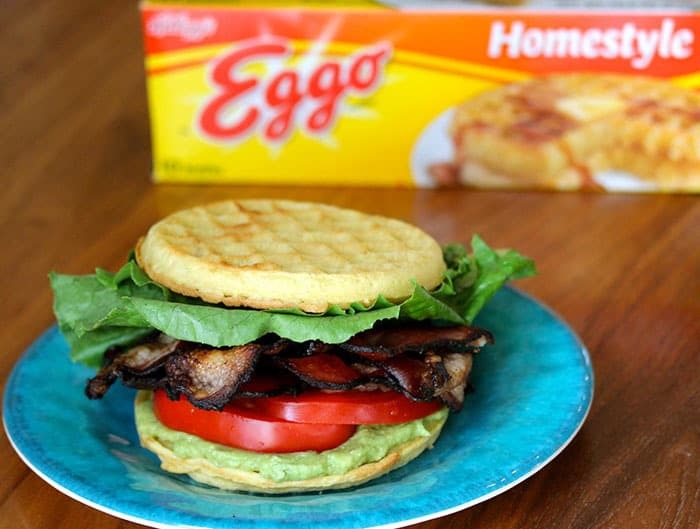 Could these Eggo morning delights replace bread? Why yes, they can, in fact they are so perfectly paired with bacon and avocado and lettuce and tomato, that I will keep my freezer stocked. 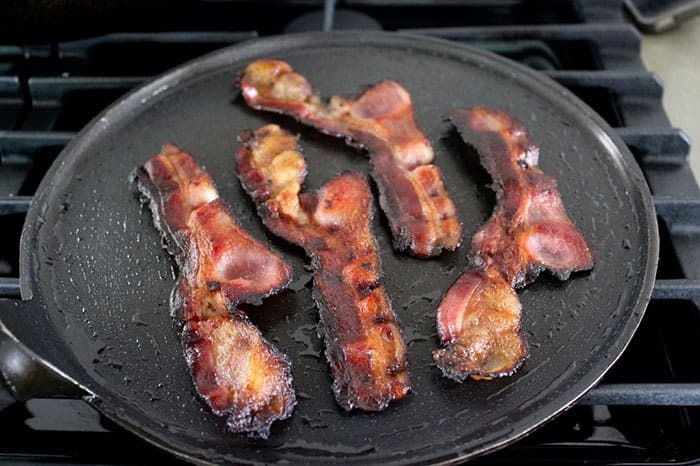 Cook the bacon on a griddle. 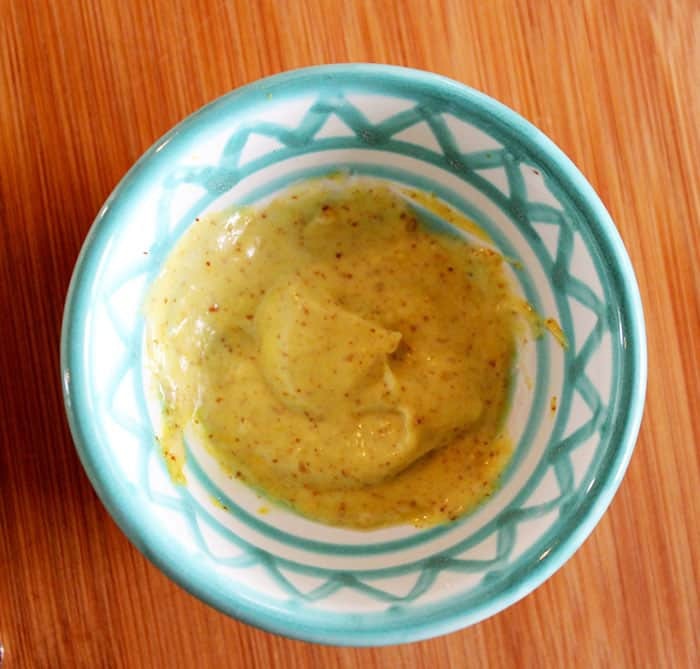 Mix 1 teaspoon mustard with 2 teaspoons mayo and set aside. Mash the avocado and add a squeeze of fresh lemon and salt and pepper to taste. 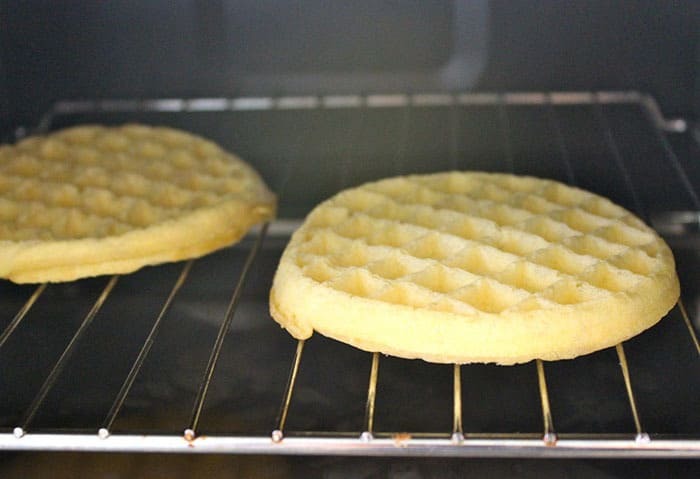 Toast the waffles according to the package. 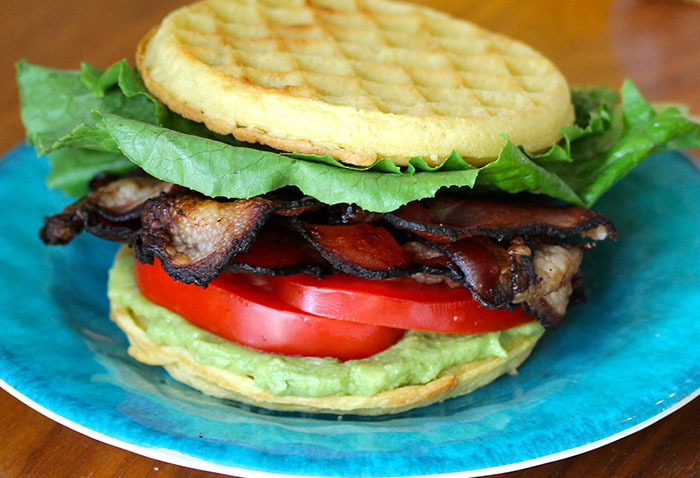 Remove from toaster and spoon avocado spread onto one waffle, layer with tomato, bacon and lettuce. 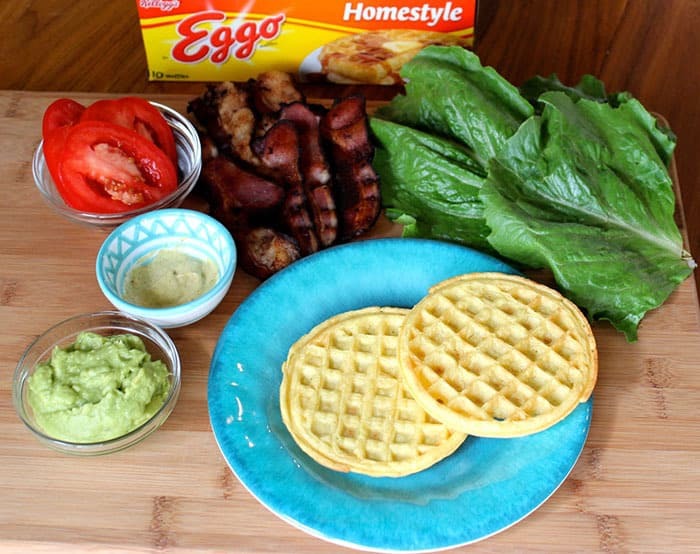 Spread the mustard/mayo combination onto the other waffle and place on top of your sandwich. Devour.